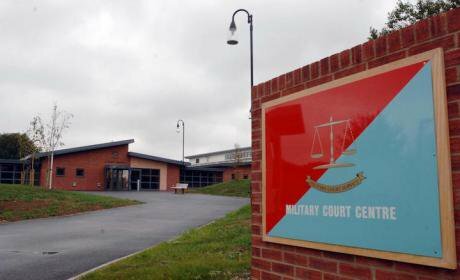 The Military Court Centre at Bulford, Wiltshire. Press Association/Barry Batchelor. All rights reserved. In August 1971, the British government sanctioned a mass detention operation in Northern Ireland in response to increasing violence in the Province. Those arrested were taken to specially prepared holding centres in central Belfast, Londonderry and County Down. More than 3000 people were interned by March 1972. It didn’t take long for internment to become known as a ruthless and brutal process. Those arrested and later released spoke of a systematic handling insidious in its ability to induce hopelessness, fear and chronic stress. Five methods of treatment were used across the detention centres. Prisoners were hooded, forced to stand spread-eagled against a wall, placed in rooms where a constant loud and hissing noise was played, prevented from sleeping before interrogation, and given minimal food and drink. The measures were intended to break the internees, to make them more susceptible to interrogation. They were called the Five Techniques and together amounted to cruel and inhumane treatment according to the European Court of Human Rights. The government issued plain instructions to the army. A directive issued by the Joint Intelligence Committee ordered that “no form of coercion is to be inflicted on persons being interrogated. Persons who refuse to answer questions are not to be threatened, insulted, or exposed to other forms of ill treatment.” It explicitly prohibited the Five Techniques. Thirty years later, in September 2003, members of the 1st Battalion of the Queen’s Lancashire Regiment raided a Basra hotel. They were looking for insurgents. Though they found none, Baha Mousa, the hotel night receptionist, was arrested along with several other hotel workers. Forty-eight hours later Baha Mousa was dead. At the court martial three years later of seven soldiers allegedly involved, the evidence was conclusive: Mousa and those detained with him, had been subjected to the Five Techniques. They were all hooded with double sandbags, ‘conditioned’ (as the military now called it) through stress positions, and deprived of sleep, food and water. Their guards punched and kicked them too, brutally and consistently. Baha Mousa’s body showed the extent of the assaults. Another detainee suffered kidney failure. 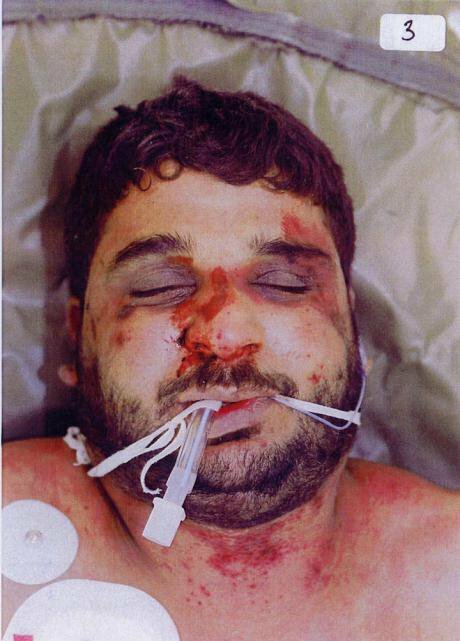 Baha Mousa, who died while held in custody by British soldiers. PA/LIBERTY. All rights reserved. Although the court martial was unable to pin blame for the ill treatment on anyone except Corporal Payne, it heard that the ban on the Five Techniques had somehow been forgotten. Interrogators had been trained in using some of these methods and army lawyers argued amongst themselves on whether hooding or stress positions were lawful or not. One officer said there had been a “corporate memory loss”. The result of the court martial provoked no formal government response. It continued to resist undertaking a full inquiry into the case. Only when the European Court of Human Rights gave judgment on 13 June 2007 in the Al-Skeini litigation was something done. The court confirmed that investigation into the death of Baha Mousa had been wholly inadequate. The court martial did nothing to remedy that. It said the government had failed its duty to the victims and their families to find out what had happened and learn lessons for the future. An internal army review was insufficient too. It could not qualify as an independent process. It took nearly another year before the then Minister of Defence, Des Browne, announced what would be done. On 14 May 2008, he established a public inquiry into “how it came to be that Mr Mousa lost his life”. He said the army “had no wish to hide anything”. Sir William Gage was appointed as the inquiry chair. He began public hearings in 2009. Two years later, in September 2011, he published his final report. Gage condemned the “serious, gratuitous violence” used against Mousa and the other detainees. He condemned senior commanders for their ignorance of the Heath ban on the Five Techniques, attributing that to a systemic, corporate failure. And he condemned eighteen individual soldiers for specific abuse and a number of officers from the commanding officer Lieutenant Colonel Mendonca to Father Peter Madden (the unit’s Catholic padre) for their failure to prevent it. Iraqis protest against the killing of 26-year-old Baha Mousa, Tahir Square, Baghdad, 9 September 2011 AP/Press Association/Khalid Mohammed. All rights reserved. Gage was unable to say that the ill treatment showed widespread abuse by British forces in their detention of civilians. He did not have the power to investigate any other allegation. But he said there was an absence of a proper doctrine on interrogation and this contributed to the banned techniques re-appearing in Iraq. Two months before Sir William Gage published his Baha Mousa Inquiry report, the European Court of Human Rights delivered its judgment on the Al-Skeini case. It decided that the European Convention on Human Rights should apply to operations of the British armed forces in relation to the exercise of its powers in Iraq. That included the detention of civilians and security operations on the streets of Basra. It meant the UK was required to have undertaken full and proper inquiries into any death in custody, any killing of a civilian wherever that took place, and any ill-treatment that had been caused by British military personnel. The decision opened the way for allegations about unlawful killing and ill-treatment of Iraqi civilians to be brought before the British legal system. Until then, though the MoD were aware of hundreds of complaints, it could mostly ignore them. After the European Court’s judgment that approach had to change. But how? Tomorrow, Allegations against troops rise and a pattern of abuse emerges.